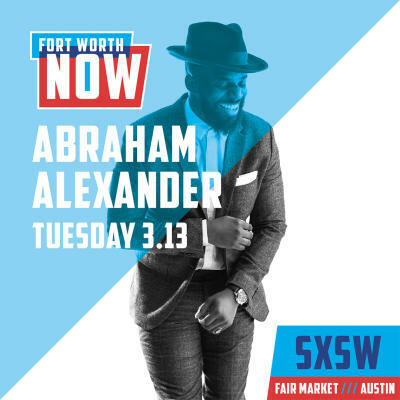 Fort Worth’s third South by Southwest (SXSW) conference appearance will once again feature some of the best talent in the 817. 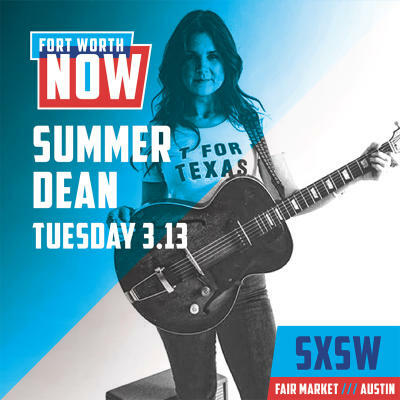 The two-day live music event, “Fort Worth Now,” is a partnership between Visit Fort Worth, Fort Worth Chamber of Commerce, Fort Worth Film Commission, Hear Fort Worth, and several prominent businesses. 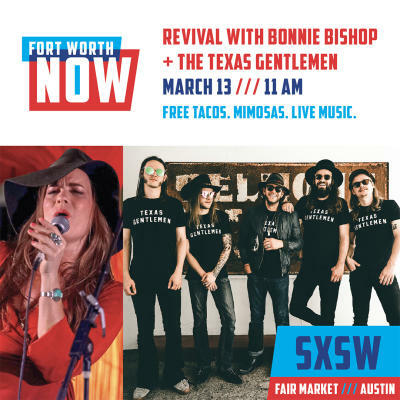 Houston-native Bonnie Bishop joins her not-infrequent acoustic entourage, The Texas Gentlemen, for an opening act that will certainly be one to remember. The already active songstress recently connected with producer Dave Cobb (whose credits include Jason Isbell, Chris Stapleton and Sturgill Simpson). Their recent collaboration, "Ain’t Who I Was," has shows an evolution from country toward soul. Bishop’s whirlwind schedule keeps her on the road, but many of her stops are in the Lone Star State, including performances in Fort Worth. Summer Dean, the self-described “Ameritonk” singer-songwriter, performs with various outfits. Lately, she’s the active lead singer/guitarist for HonkyTonk Country Club, a rotating ensemble that reincarnates pre-’90s country music. HonkyTonk Country Club performs every second Sunday at Shipping and Receiving as part of Chicken S*** Bingo. 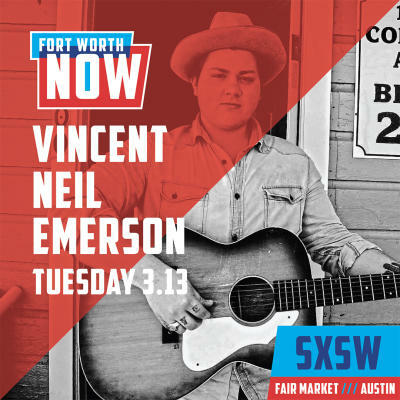 Country/blues singer-songwriter Vincent Neil Emerson picked up the guitar at the age of 17, aiming to emulate his favorite musicians at the time: Bob Dylan, Hank Williams, and Townes Van Zandt. He hasn’t put his six-stringed instrument down since. The young troubadour performs regularly at Main at South Side (MASS), Magnolia Motor Lounge, Dreamy Life Records and Music, and Lola’s Saloon. Abraham Alexander has made a big splash in a short time. The Athens, Greece, native recently released his debut single, “America.” The pristine production, coupled with Alexander’s soulful, blues-tinged vocals, portrays his affection for his adopted country while touching on the tumultuous times we live in. Alexander’s next show is April 22 as part of Main St. Fort Worth Arts Festival. 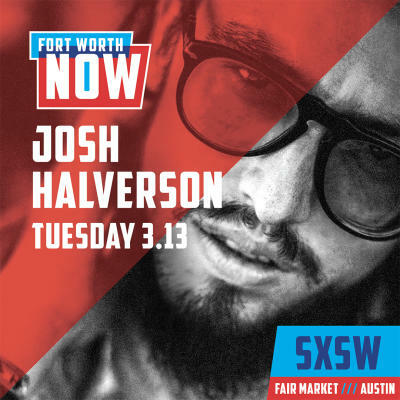 Americana roots music radiates from Josh Halverson’s agile voice. Halverson reached national attention as a Top 20 finalist on NBC’s The Voice. When not gigging, Josh speaks to youths in his community about suicide and bullying awareness. Halverson keeps an active schedule, mostly within the Lone Star State. 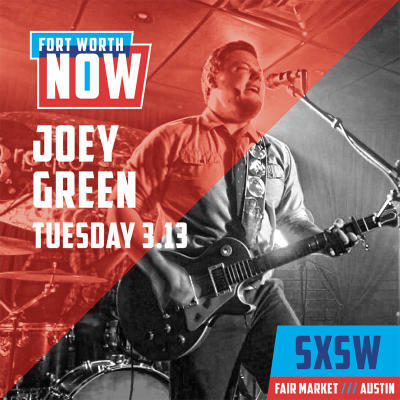 Joey Green began performing at the age of 17. His career has since blossomed and includes past performances with Eli Young Band, Kevin Fowler, and Randy Rogers, among others. With six albums under his belt, Green can safely add “prolific songwriter” to his bio. Green is a regular performer at Fort Worth Live, Lola’s Trailer Park and Whiskey Girl Saloon. 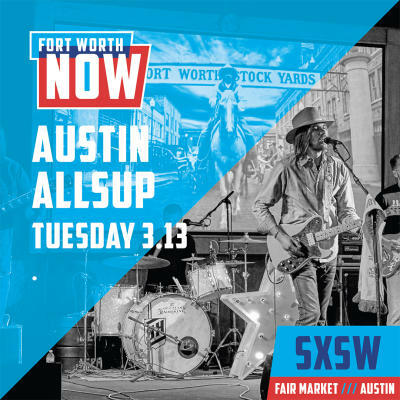 Alt country singer-songwriter Austin Allsup, son of Western Swing icon Tommy Allsup, has shared the stage with luminaries such as John Mellencamp, Joe Ely, Mike McClure, and LeAnn Womack, among many others. The Fort Worth musician had a strong run in 2016 as a Top 10 finalist on NBC’s The Voice. Allsup performs across the region. You can find his next booking here. 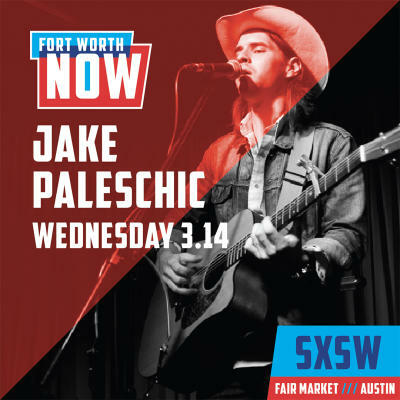 Jake Paleschic is a household name to folks who frequent Near Southside music venues. Paleschic most frequently performs solo, with his namesake band, or with Summer Dean and HonkyTonk Country Club. The pensive singer-songwriter has a distinctive voice and the chops to masterfully cover rock to country and everything in between. Paleschic frequently performs across North Texas. Your best bet to catch him is every second Sunday at Shipping and Receiving where the performs with HonkyTonk Country Club. They usually go on around 6 p.m.
Lou CharLe$, the self-proclaimed “worldwide wanderer,” proudly claims Fort Worth as his home. 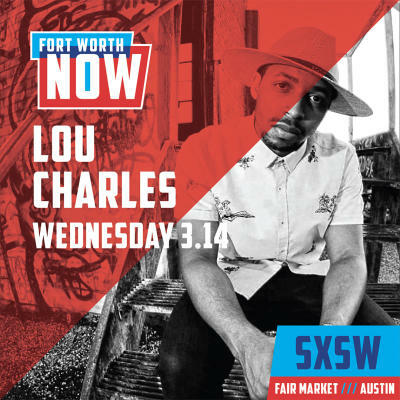 His most recent releases, "In Transit" and "In Transit 2," have received rave reviews and established Lou as one of North Texas’ leading hip-hop artists. Recent local performances have included Lola’s Saloon and MASS. 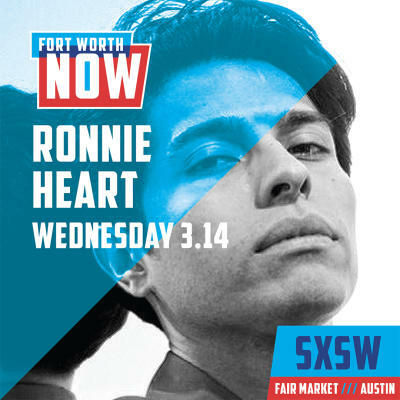 Ronnie Heart is a true Near Southside-based Renaissance man. When he isn’t painting or modeling, the gifted musician is heading his own band or DJing. Neo-disco is a moniker frequently lobbed at Heart. Rumor has it that Heart is working on his second album. Heart DJs across North Texas, but mainly in Fort Worth. His band frequents Shipping and Receiving. He DJs at Off the Record West every first Friday. 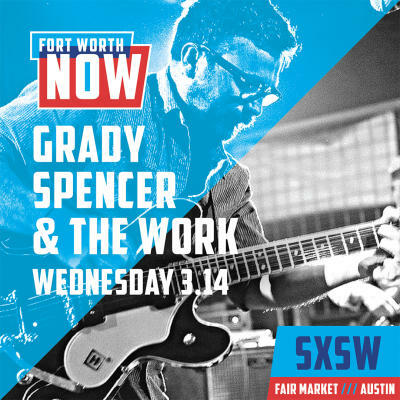 Having grown up just outside Lubbock, Grady Spencer has a unique perspective on his adopted home of Fort Worth. His hit song “Things to Do” has become something of a Fort Worth anthem as of late. Spencer and his bandmates regularly perform at Fort Worth Live, Magnolia Motor Lounge, Billy Bob’s Texas and across North Texas. 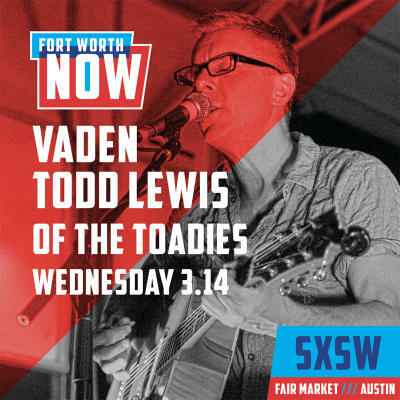 Since breaking out in the ’90s alternative rock group Toadies, Vaden Lewis has kept busy. 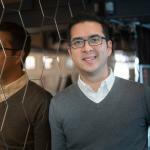 He’s frequently seen performing old and newer works with acoustic guitar. The Toadies perform March 2 at The Bomb Factory in Dallas. 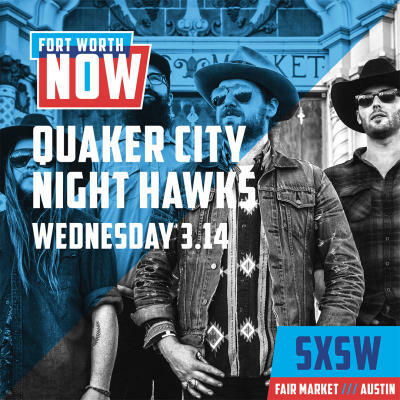 The rock ‘n’ roll quartet are a true Fort Worth export, touring across the country while getting national press. Fortunately for their throngs of local fans, the 817 remains home. QCNH regularly tours across the United States. Locally, you can catch them at the Granada in Dallas or Billy Bob’s Texas.